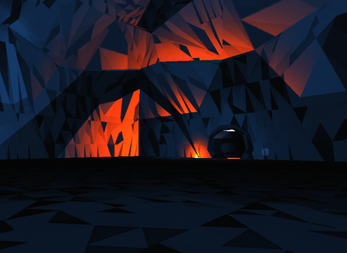 Explore the cavern, collect and throw torches to enlighten your path. That was absolutely fantastic, especially thanks to the whole music and sound design. You understand itamazingly well how to make the tunes to become something special, because they're not just used for the description of your world, but they really are a part of it. Happily I wrote a praising article about your game on our blog and also uploaded a short gameplay video for it. :) Keep up the great work!